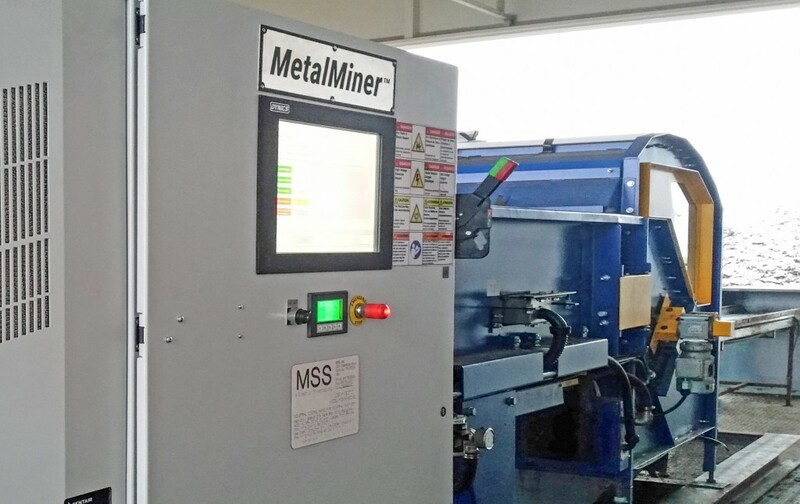 MetalMiner uses MapLine technology that allows users to target specific metal types or objects by amplifying the sensitivity for non-ferrous metals, especially wire, while simultaneously reducing it for ferrous dust. "MapLine allows users to target specific metal types or objects by amplifying the sensitivity for non-ferrous metals, especially wire, while simultaneously reducing it for ferrous dust," says Felix Hottenstein, MSS Sales Director. "MetalMiner is exceeding our customers' expectations. We've found up to 15% higher recovery rates for Zurik when directly compared to other vendors. Hottenstein continues, "Additionally, MetalMiner reduces cross contamination with ferrous-dust-covered wood, plastics, and foam. This creates a noticeably cleaner product." The MetalMiner is manufactured up 112"/2800mm wide as either a stand-alone model in a conveyor configuration or it can be integrated as an upgrade to the MSS CIRRUS NIR and L-VIS Color optical sorters. Depending on the application, different induction coil configurations and spacings are available. For certain small particle applications such as plastic flake or glass cullet, MSS also offers the MetalMiner in a slide configuration which provides an even higher sensitivity and sorts ferrous, non-ferrous, and stainless steel down to 1mm in size. ​MetalMiner is MSS' next generation of induction-based true all-metal detectors​.